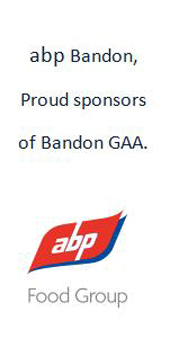 Bandon Underage teams contested 5 finals in the past fortnight and were victorious in the last one - the Under 16 P2 A Football League Final against old friends Duarigle Gaels in Pairc Ui Chaoimh Astro Pitch last Saturday morning 0-17 to 1-10. Charlie Long scored our opening two points and the score was level 0-2 a piece on 10 minutes. After that we dominated play with 6 unanswered points from Daithi Collis, Charlie Long (0-3), Gavin Lowney and Brendan Twohig. Duarigle scored a goal and a point before the break but we scored two more points to lead 0-10 to 1-3 at half time. Midfielders Niall Desmond and Cathal Lynch as well as wings Tom Desmond and Gavin Lowney had tormented our opponents in the first half. The second half started slowly with both teams only raising one white flag a piece after quarter of an hour. Injuries meant that Luke Quinlan and Eamonn Twomey replaced Niall Desmond and Richard Murphy. After this the boys from the Duhallow division hit form with 3 unanswered points but were denied certain goal chances by two brilliant saves by our keeper Oisin Doyle. We then rallied scoring 4 unanswered points. At the end of their first year in the Premier Football Grade this under 16 Team are undefeated and worthy winners of both the P2A Football Championship and League competitions. Team Oisin Doyle, Cian Burke, Tim Twohig, Ralph O'Mahony, Richard Murphy, Conor Twomey, Tom Desmond, Cathal Lynch 0-1, Niall Desmond, Gavin Lowney 0-1, Charlie Long 0-11 (9fs), Rory Desmond, Brendan Twohig 0-2, Daithi Collis 0-2, Jack Lillis. Subs: O O'Mahony, G O'Donovan, L Quinlan and English Twomey. The under 13 Premier 2A Football team were defeated 4-8 to 2-7 by a very good Bantry team in the final last Saturday afternoon in Bandon. We were more than a match for them in the first half but still trailed 3-4 to 1-2 at the break. The concession of a goal just after the re-start didn't help matters but the lads never gave up and were it not for striking the bar twice we could have been closer at the end of this very competitive game. Team: Donnacha McCarthy, Danny Crowley, Stephen Murphy, Colm McCarthy, Dan Lane, Sean Ahern, Ciaran Twomey, Zac Canniffe, Danny Collins, William Allen, Conor Payne, Collum Waugh, Darragh Power, Hugh O'Mahony and Owen Geary. The under 14A Football team were defeated 4-9 to 1-5 away to Fermoy in the League Final in atrocious weather on Tuesday 13th November and were defeated by the minimum margin of a point 1-13 to 1-12 also away to Kinsale on Sunday 18th in the Hurling League Final. The lads led 0-9 to 0-4 at the break but were second best to most ball in the second half and yes could have snatched all draw late on when scoring a goal and 2 points in the dying minutes of the game. Darragh Collins was fantastic on the day as we're Stephen Collins and Jack Callanan. Team Donnacha McCarthy, Darragh Shannon Finn, Eamonn Twomey, Shane McCarthy, Cian Twomey, Aaron O'Reilly, Sean Ahern, Paddy Gaffney, Stephen Murphy, Stephen Collins, Jack Callanan, Marc Donnellan, Hugh O'Mahony, Tim O'Leary an Darragh Collins.Our Minor Footballers were defeated 0-19 to 0-6 in West Cork A graded Final by Clonakilty in Clonakilty last Wednesday evening.